I just think unless you’re getting the next aaron donald that DT is not a 3rd pick worthy position. I mean look we took Leo at 6 and has he given us #6 pick return? I’d say not even close. How does what Leo or any other draft pick performed equate to how another draft pick perform? If we think we are taking a difference maker at 3, the position should not matter. Each draft is its own vacuum. So 2 things. 1 during draft season people just compare the guys to the players also in the draft. Leo was touted as a top talent, but look at the rest of that draft now with some hindsite.... it is pretty rough. After him it is just bust after bust other than the 2 RB's taken. White, Beasley, Flowers, Waynes, Shelton, Peat, Parker, Kevin Johnson, Armstead... other than Gurley, Gordon, I can't see any other guys taken in the first round that I'd take over Leo. Leo hasn't panned out our you'd hope a #6 pick would, but look at the rest of that minefield of a draft, we actually did ok.
Next we need to stop saying "unless you're getting the next Aaron Donald". Ya we all get it, we'd all take a DT that gets 20 sacks, kind of a no brainer, but there are other guys who are pretty good players at that position. I'd take a guy at 3 if I thought he'd be the next Fletcher Cox or Geno Atkins. You wouldn't take a guy that can possibly contribute 10+ sacks a year straight up the gut and be a monster against the run? If Donald is your wish list for #3 then you are going to be consistently disappointed. And you're also downplaying how outrageously good guys like Cox and Atkins have been in their careers. I'm almost done with my next mock. Put in a lot of research today in regards to prospects. A scenario I see unfolding for us is drafting "OTs" with back-to-back picks after trading down. I agree. My main point was that DT (for me) isn’t worth a top 3 pick. I used Leo as an example as to that a difference making DT are few and far between, and you can without them. So I just don’t see the value in a DT that high. Most don’t see RB as a useful pick that high. I think if the talent is thee absolutely it’s worth the pick bc atleast they touch the ball 25 times a game. Just different philosophies. Edge on the other hand I think is worth a tip pick. I’d also argue in today’s nfl that CB isn’t worth a top pick anymore. Darnold. His play when he returned from injury is not talked about enough- despite having the leagues worst supporting cast, he was one of the best QBs... not to mention, he is 21 years old. Its not the popular opinion and I’m sure it comes off as bias, but I still take Darnold over any QB drafted in the past 5 years. I’ve always used this distinction that you have “system” QBs and “thoroughbred” QBs- there’s nothing wrong with a system QB (players like Goff, Brady fall into this category) and by all means it’s not the least bit a slight against them, but I prefer the thoroughbred- the guy who is gonna go out and ball regardless of scheme, coaching, or personnel. Doesn’t make them better than the system guys, but I feel they are capable of performing with less. That’s how I feel about Darnold. I think Darnold’s career arc will be similar to Philip Rivers’, we just need to hope the Jets do more to help him bring the city a few titles. I always viewed Darnold as the best QB in the draft. Until we traded up I never thought he was realistic. Even after trading up I was surprised he was there at 3. Like @jetskid007pointed out... his age rather than year in the NFL is what we should be pointing out. Quite frankly he shouldn’t even be in the same sentence when comparing him to Mayfield bc of their age gap. You can tell Darnold will be good. It’s for this FO to make him succeed. Protect him and give him weapons. Getting him wasbthe hard part, the rest shouldn’t be. This offensive staff should only help Darnold. It would be incredible to see Gase be to Darnold what McVay has been to Goff. 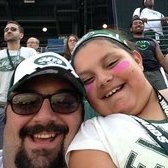 @jetskid007pointed out that he thinks Darnold has more natural talent then guys in the last 5 years (which I don’t know if I agree with, but is certainly not untrue). Best thing we can hope is that Gase simplified the game for Darnold. Allowing him to develop more. Making him a franchise QB should be this teams main focus for the next 2-3 seasons. I disagree with that bc of the age gap and experience. Mayfield has played QB at a high level twice as long as Darnold as well as being 2 years younger (pretty much 2 full years younger). Thats not me saying 1 or the other is better. It’s just saying that they are years apart in their development. So they shouldn’t be compared. But when you dig in... they really shouldn’t Be. I agree Darnold should still be starting for USC this up coming fall. On a side note K. Murray has decided to with football full time. That is great news for the Jets at 3. This means more good QB out there. If he can do really well at the combine and at his pro day he will be a top QB on most boards, If people knock him because he is undersized look at Flutie. When Flutie was given the chance he did really well. The Bills NEVER should have benched him for Rob Johnson back in that playoff game. I think the most important stat of all and I think the NFL is final catching on to it is accuracy. I will take this over anything. Anyone else see that picture of DK Metcalf in the gym that cane out today? If it’s not fake... the dude is gigantic. Might be needle induced with how big he looks (obviously I have nothing to back this up besides that he looks unrealistically big). Best WR in this class. Here’s link to his picture. Dudes got some pretty good genetics, when a good portion of your family has played in the NFL you have to. Reach at 3? I can't see a scenario where we come out of this offseason with a better WR than Metcalf. At what point does reaching for need outweigh BPA when you consider how priority #1 needs to be giving Darnold weapons? I’m in the minority. But I’d be all for Metcalf at 3. Trade back value wise is obviously the best.